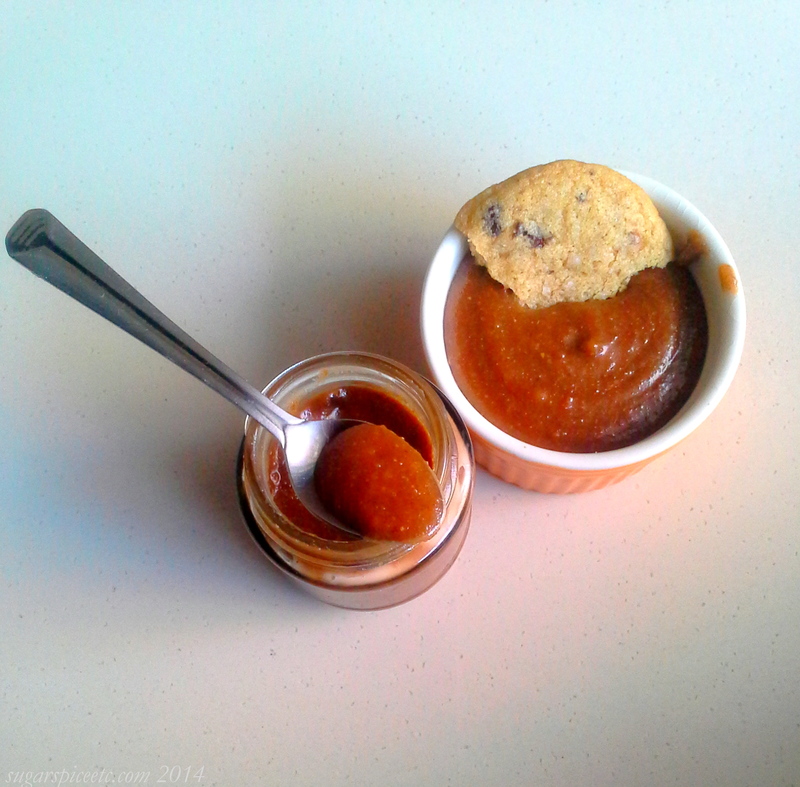 12 Weeks Of Christmas | Week 10: Cookie Butter! So cookie butter is a thing, and Trader Joe’s has some to-die-for Speculoos flavoured cookie butter, and I haven’t had the good fortune of eating it myself. But I have eaten Speculoos biscuits, and Speculoos-flavoured Haagen-Dazs by the tub, so I can only imagine how delicious Speculoos cookie butter is! I saw the recipe for cookie butter on Get The Dish with Brandi Milloy on Popsugar, and once I saw it, I knew I had to make it. And hey- how can cookie in a spreadable, spoonable form be bad? Sure, it’s not healthy by a long shot- butter, sugar, milk and cookies- but this is an indulgence. Creamy, tasty, grainy, caramel-y goodness on a spoon. Another bonus: it’s no-bake and comes together in minutes! Using a food processor or blender, pulse the almonds till they almost get clumpy/pasty. Add the cookie crumbs and pulse some more. Add the milk, melted butter, brown sugar and salt (if using,) and keep at it until you reach the desired consistency, stopping to scrape down the sides if necessary. Store in a clean dry jar.